A-HOTEL.com - Luxury and cheap accommodation in Bryn', Russia. Prices and hotel, apartment booking in Bryn' and surrounding. Eco Club Kremichnoe Podvorye is located in Kremichnoye. Both private parking and free WiFi are accessible at the hotel. Featuring free WiFi, Brigantina Hotel is set in Lyudinovo. This 4-star hotel offers a 24-hour front desk and a business centre. Eco-Cottage Losinoye provides ski-to-door access, as well as accommodation with a kitchen in Losinoye. A flat-screen TV with satellite channels and DVD player are available in some units. Set in Lyudinovo, Hotel Lyudinovo features a bar. Among the facilities of this property are a restaurant, a 24-hour front desk and room service, along with free WiFi. Kukhmister Hotel is situated in Lyudinovo. Among the various facilities are a garden and a bar. 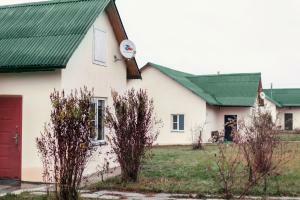 Aprel provides accommodation in Lyudinovo. Boasting a 24-hour front desk, this property also provides guests with a restaurant.